Mother culture is a topic that has been much on my mind this past year, but mostly in the form of wondering if it really, actually was worth my time. I first discovered this concept in a Parent’s Review article of the same name, an article from which I will quote extensively. If you haven’t read it before, I would urge you to take the time to do so now. To be honest, I have forgotten why feeding my mind and soul is so important. Right now nothing matters besides the dishes and the animals and the snippy children and the noses that need wiped. All I want to do is tidy and clean over and over again, the only way I know to express my love and prove my worth. My mind is tired and my body is exhausted and my soul is in agony and all I can see is the doll that needs picked up and the math page that needs finished. All at once (to take an extreme case), a young girl who has all her life been sheltered and shielded, not only from every trouble, but from every experience of life, is made responsible for the home happiness of her husband………………….. Before she marries, she pictures to herself little of the extreme difficulties of managing that most complicated of machines, a household–not for one week only, during her mother’s absence, but for year after year, without stop or stay, for the rest of her time. If these two things are difficult, how very much the case is complicated when a wholly untried responsibility comes upon her, and not only her own health, but that of another depends on how she manages her life. And then, perhaps, just as she is grasping the situation, and one child fills her whole heart, more room is wanted, and more and more, and the servant questions goes on, the management of expenditure goes on, the desire to be more than ever her husband’s companion grows stronger and stronger, and the centre of it all is one little woman–wife, mother, mistress all in one! Then it is that she gets overdone. Then it is that she wears herself out. Then it is that, in her efforts to be ideal wife, mother, and mistress, she forgets that she is herself. Then it is, in fact, that she stops growing. I am a good housekeeper now. It’s been a week, more than a week, longer than I have ever gone in my life. I have a clean and tidy home, the meals are served on time and all the school work is getting done. It is the culmination of years of research, weeping, prayer, lists, heart-ache, longing, striving, effort upon effort upon effort, failure upon failure upon failure. Years of learning to see myself as I truly am, and then not allowing that horrifying realization to handicap me. I have run this race, and I have achieved my goal. Yet today my Rosie sat down to sew herself a little shawl for her doll, and quietly commented that she hopes very much she won’t be a mom when she grows up. Further questioning revealed that she would like to be able to make beautiful things, not always work and only think about making things. Last night, when I tried to explain my transformation to a confused husband, he seemed horrified rather than pleased. I’m still not sure why, and not knowing bothers me. I feel as if I finally have something to offer, something worth loving, but the people I am trying to serve have already discovered how to not need me. There is no sadder sight in life than a mother, who has so used herself up in her children’s childhood, that she has nothing to give them in their youth. When babyhood is over and school begins, how often children take to proving that their mother is wrong. Do you as often see a child proving to its father that he is wrong? I think not. For the father is growing far more often than the mother. He is gaining experience year by year, but she is standing still. Then, when her children come to that most difficult time between childhood and full development she is nonplussed; and, though she may do much for her children, she cannot do all she might, if she, as they, were growing! It seems that once again I have finished a project only to lift my head and realize life has collapsed outside of my tunnel vision. Always before it’s been some wonderfully creative project that left my home in shambles. This time it has been the achievement of practicality only to realize that I’ve lost something along the way, and I truly do not understand what it is. It would seem as if we mothers often simply made for ourselves the difficulties we find in after life by shutting our minds up in the present. What we need is a habit of taking our minds out of what one is tempted to call “the domestic rag-bag” of perplexities, and giving it a good airing in something which keeps it “growing.” A brisk walk will help. But, if we would do our best for our children, grow we must; and on our power of growth surely depends, not only our future happiness, but our future usefulness. What is mother culture, you ask? I think it is purposefully stepping outside of the moment, considering something outside our own immediate sphere for a brief time. It is acknowledging the fact that we Mothers are also people, people with minds and souls and bodies that need wise tending. I’ve become quite skilled at living in the moment, at treasuring moments, at applying myself to the task of the moment. These are all good things that needed to be conquered, but I do not want to stagnate here. I very much want to keep growing, to remain available to a busy man who wants someone delightful to talk to or an attentive girl who is just discovering the allure of creating beautiful things. 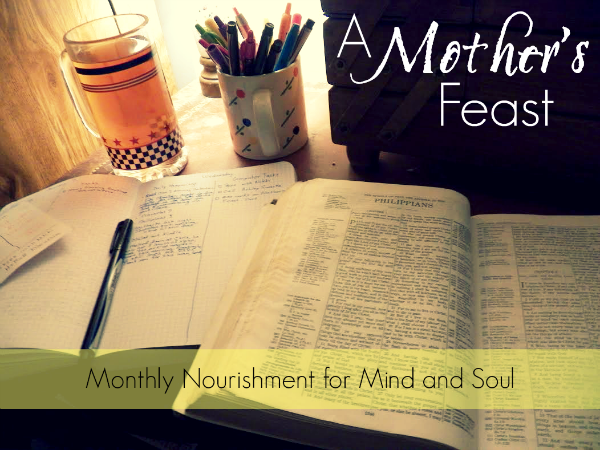 In 2015 I’ll begin hosting a monthly mother culture link-up, and I’d love for you to join me. We can talk about what we have learned, about how we managed to make the time to read or journal, about why it’s important to not let our minds and souls grow stale. The posts can be practical or philosophical. You can be encouraging and optimistic or poignantly introspective. You can write about your goals or your accomplishments. But please lets acknowledge the hope and purpose of steady, purposeful self-education. I plan to create a special page where I will link each month’s post in order to create a sort of permanent archive on this topic. That page will also include a set of rules and a more succinct description of the concept of mother culture. It is hard. The Mother Culture avenues do seem to work against the home management gig. Home management *is* an area to grow in – I know I’ve put forth a lot of energy and effort in that line over the last 10 years. But if it’s the *only* area of growth, then we get stagnation. Then again, probably because home management hasn’t been my only area of growth, I have only once, for about 4 months, been able to say things were actually humming according to plan. 🙂 I feel like I’m almost there again, but now we’re renovating the basement, so it’s all topsy turvy again. In A Mother’s Rule of Life, Holly Perliot tells about her applying herself to her home management as her project and got to the point where it was all working, where she’d “arrived” at her goal destination. Then she woke up and realized she was bored. But when the home systems are working and keeping life humming, that boredom might actually be extra space and mental energy to then add in a hobby or other pursuit. Classics or a history of philosophy on audio during housework is also a great, simple addition. If we’re going to keep educating these children into their upper years, then we have to have exercised minds to keep up when that time comes! Thank for this, Mystie. Now that I’ve (seemingly) conquered home management, it seems that this is my next hurdle: not allowing myself to stagnate here. As always’, you’ve been wonderfully encouraging. Love this idea! Looking forward to January! Goodness, this was what I needed to read today. Especially about the part of sons arguing with their mother. Sigh…I think that I do need more Mother Culture. Well, I am looking forward to this! This is so wonderfully written, and most timely. I am glad you are hosting this. I must say, though, that I’ve not ever conquered home management. So proud of you Lizzie. You are using your gifts & talents in ways unheard of in my generation! May God bless you. I will be here, Lizzie! Thank you! This. This just so hits home. Yes, I think, isn’t that so January and February for the homeschool mom? 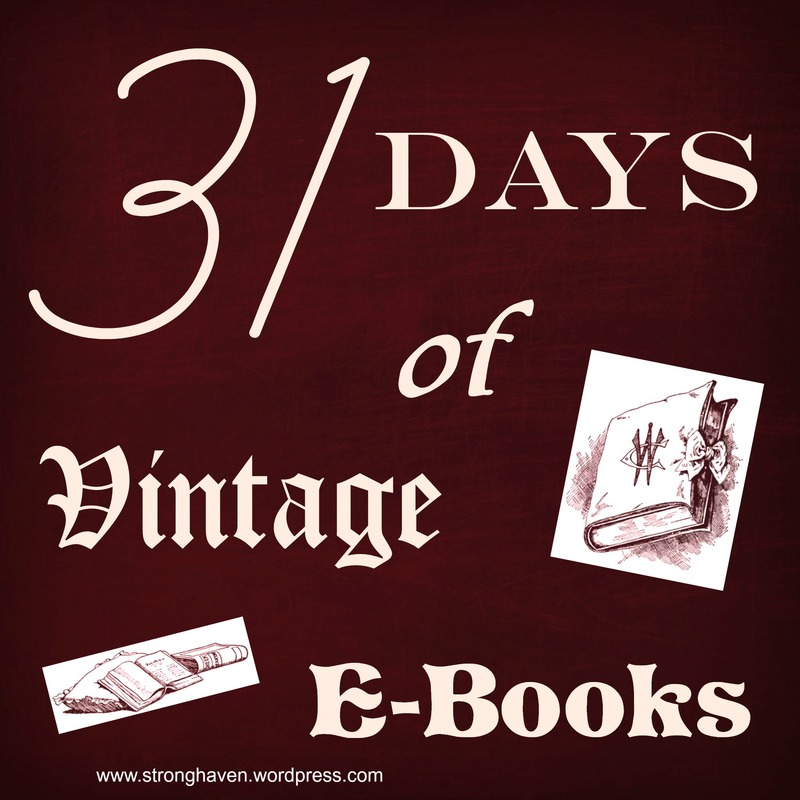 Doesn’t the busy-ness and the all-consuming nature of mid-homeschool-year just take us there? That our minds and hearts and souls begin to shrivel as we do do do? I have never felt this to the extent I do this year. You captured this so perfectly. I am just almost suffocated with this reality- what I ought to be and what I am not…it is really terrifying. Do you think it has to do with children’s ages or stages or something? It caught me off guard. I have always had many faults and shortcomings, but now I feel almost paralyzed under the weight of who I need to be and am not! Mystie had an Imago Dei post over at Expanding Wisdom -her story could be mine- and I think it is the essence of why homeschooling is HARD. Not because there is so much to juggle, but because it requires you to actually BECOME that which you desire for your children- in and amongst all of that which you mention here. It is a daunting task, and yet one we must embark upon. Thank you for writing. This and your post on Writing and Motherhood- I have written that post in my heart many times. I am so with you. Posts like these and a community like this give my heart a spark of hope. No matter what priorities we set in our lives, we have to give up something else to maintain them. The only real mistake, in my mind, is allowing others to project their priorities onto us to the extent that we lose something essential to ourselves. We always need balance, and balance is harder for some than for others. Don’t give up who you are, and don’t give up on something you think is important just because others don’t see its value. A place that has been fortified so as to protect it against attack. Then they cry unto the LORD in their trouble, and he bringeth them out of their distresses. He maketh the storm a calm, so that the waves thereof are still. Then are they glad because they be quiet; so he bringeth them unto their desired haven.